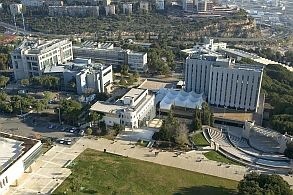 New research at Israel’s Technion alarmingly reveals that the body acts to assist the tumor because it wrongly identifies chemotherapy as damaging. What does this series of research studies say? It identifies a real need to find a new solution, in which chemotherapy is applied in a way that reduces the damage caused as much as possible, while preserving its benefits. And Shaked also has some relevant ideas, presented in his research. When the tumor sustains damage, body systems wrongly identify it as undesired damage to the body and act to assist the tumor. And there is even worse news: “This is true not only for chemotherapy, but for any intervention aimed at damaging the tumor. Once the tumor is harmed, the body tries to help,” Shaked says. The mechanisms to treat this damage do not only cause renewed multiplication in cancer tumor cells, after chemotherapy has caused it to shrink, they also turn it more violent and aggressive and encourage the formation of metastasis tumors. Animal trials have shown that even if there are no tumors, the provision of chemotherapy or anticancer drugs that kill cells activate damage treatment mechanisms that could stir cancerous processes in a mouse, if they already existed. In order to further support their conclusion, Shaked and his team conducted a third test in which they first treated healthy mice with an anticancer drug (not chemotherapy, but a new generation drug) such as Velcade, and only later infected the mice with cancer, without treating them. The mice treated with Velcade before infection died earlier than mice that had not been treated. So, the resistance of cancer to treatment, the fact that treatment becomes less effective over time, is caused by the body and not the cancer cells themselves. After their research on animals, in which Shaked and his team have shown that mice treated with chemotherapy developed more metastasis tumors, with tumors becoming more aggressive, and following the research indicating that treatment alone is harmful to an animal that had no cancer to begin with, further human research studies have been conducted. Then why continue with chemotherapy anyway? But what about the test you have presented, in which mice that received Velcade and were infected with cancer had lived for a shorter period than mice only infected with cancer? Does this mean that drug treatment should be continued – always and without any reservations? After Shaked has shown the potential damage (as well as the usefulness) of cancer treatments, he has started examining ways of reducing this damage and turning the treatments more effective. In order to do this, you need to first understand how exactly the treatment affects the body. “We have estimated that the mechanism also involves the immune system, and therefore conducted another experiment: we took cells from the immune system of an animal and subjected them to chemotherapy. We have discovered that the process does pass through immune system cells. When we returned these immune cells to a mouse that did not undergo the treatment but has cancer, it was as if the mouse himself received the treatment – the increased aggressiveness of the tumor of the mouse that did not undergo the treatment but was injected with cells from the immune system of a mouse that did undergo the treatment resembled that of a mouse that did undergo the treatment. “So what is the cause for optimism? The next test: we took immune system cells, exposed them to chemotherapy, but this time with a drug that prevents the learning process that helps repair the damage. This time, when we injected the cells back to a mouse sick with cancer, his condition did not deteriorate. You have mentioned the body’s reaction to chemotherapy can differ between patients. “We have so far discovered about 60 different factors in the body which are affected by chemotherapy; their combination affects the tumor and the metastasis reaction. These 60 factors are in fact 60 new targets for anti-cancer drugs, 60 factors that can be affected by drugs to reduce the reaction. There are already drugs on the market that could affect some of these factors. For example, we found an arthritis drug which reduces one of these harmful factors (that is, factors helping the tumor), and we have indeed shown that if it is provided with chemotherapy to mice with cancer, some of them have a longer life expectancy. In the search for a cure for cancer, the body’s reaction to the cure is not even examined today, but only the treatment’s efficacy, right? One of the findings of Shaked’s research is that not only chemotherapy, but any damage to a cancerous cells creates a pro-cancerous counter-reaction in the body, but he says that there are also exceptions. “There is a certain type of chemotherapy, or more correctly a certain regimen, which we found does not result in a negative reaction in the body,” he says and explains: “At present, when administering chemotherapy, the principle is to bombard the body with the largest dosage of the material that can be administered without killing the patient. This method makes a lot of sense, since it provides for the most probable destruction of the tumor. Therefore, according to the logic that has guided the medical world so far, it verifies that nothing is left of the tumor, thereby reducing the chances of it recurring. However, our research indicates that it is exactly such chemotherapy treatment, a maximum-dosage ‘bombardment’, which creates the body’s counter-reaction that encourages tumor aggressiveness. This is of course not the only problem with high-dosage chemotherapy. It causes numerus side effectives and immense damage to the patient. After completing a high-dosage chemotherapy, the body must be given time to recover, which also gives the tumor time to recover. At present, with no relation to our research, they have begun testing a treatment method called metronomic chemotherapy on patients, a ‘continuously-administered’ treatment. The intention is to provide small doses of chemotherapy, but administer them on a daily basis. This dosage results in fewer side effects and enables the patient to continue with his daily life. As a result, the tumor does not shrink much, but also does not grow much, or at least, if it does grow, it does so slowly. A cancerous tumor that lives in the body and does not grow does not damage the patient. Only once it starts growing in a more significant manner does it damage other tissue and consume body resources in ways that are harmful. If a metronomic treatment enables patients to live with the same tumor for a long time, without completely killing it but exerting some control, as done with other chronic diseases, and while maintaining a good quality of life, it might be preferable to bombardment. Shaked adds that an initial examination run by him and his team raised the possibility that such a treatment, with a small daily dosage, causes the body to react less than a classic chemotherapy regimen, thereby keeping the tumor less aggressive for a longer period. But, for the time being, these are only assumptions. “We are currently running a test aimed at discovering the chemotherapy dosage that does not cause a negative body reaction,” he says. “One of the problems with such a treatment is that only a few chemotherapy drugs can be administered orally. A daily infusion is not a viable solution and producing a chemotherapy pump is impossible, which the agent will damage subdermal tissue in the place where the pump is injected. In order to make such a treatment succeed on the market, we will have to develop new chemotherapy formulas, which can be administered orally. for the advancement of the State of Israel and all humanity.